What if I told you that you could make playdough without flour, salt, oil, or cream of tartar? 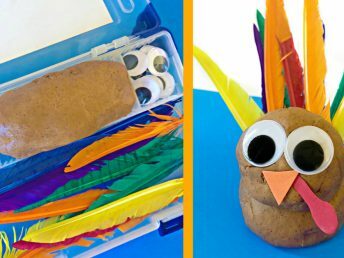 Now what if I told you that you could also make this playdough without cooking it? 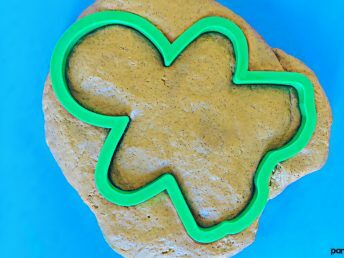 This simple flourless playdough recipe is one of my all time favorite and a complete game changer for making playdough at home! In our home we go through playdough like it is nobodies business. 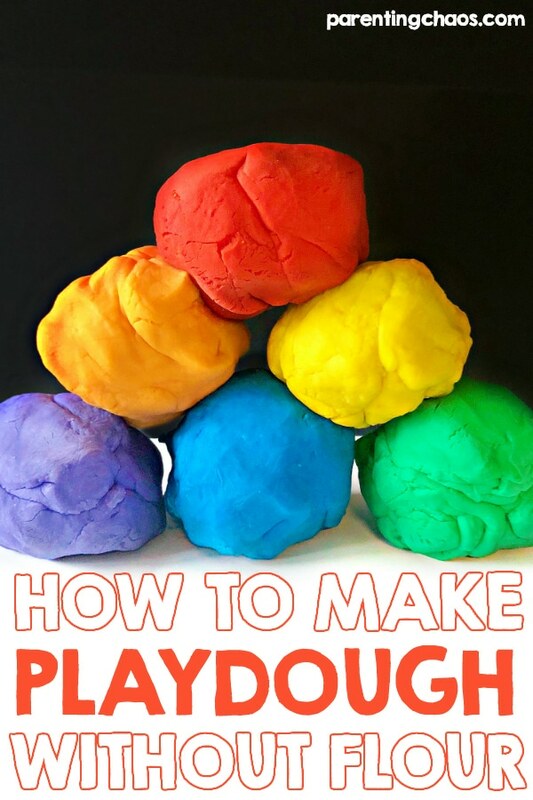 This quick playdough recipe is quickly becoming my go to when it comes to making homemade playdough. 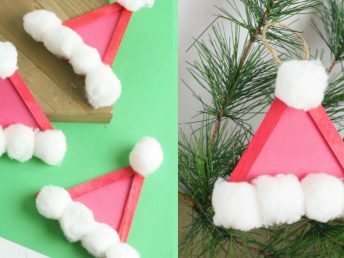 It is so much easier than making playdough with flour! 1. Add dry ingredients, water, and food dye/essential oils to a microwave safe bowl. 2. Stir everything together until it is fully blended. 3. Pop your bowl into the microwave for 2 minutes. 4. Once it is done in the microwave pull it out immediately and stir very carefully. The playdough will look absolutely crazy at this stage. 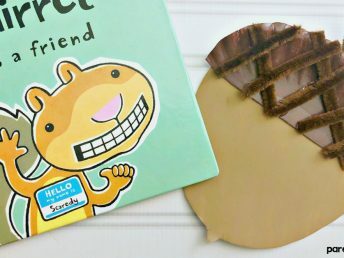 Let your children check it out – it will fascinate them! 5. Once all of the playdough is blended together let it sit aside for a minute or so and then give it another stir. If they playdough is still sticking to your spoon at this point pop it back into the microwave for 30 seconds. 6. After you have a playdough that doesn’t stick to a spoon lightly cover your bowl and leave it out on your counter until it cools down. If you do not cover the playdough it will begin to dry out. If you seal the cover too tight it will create a soggy sticky playdough. To cover ours when we make this I simply set a cutting board on top of the bowl. 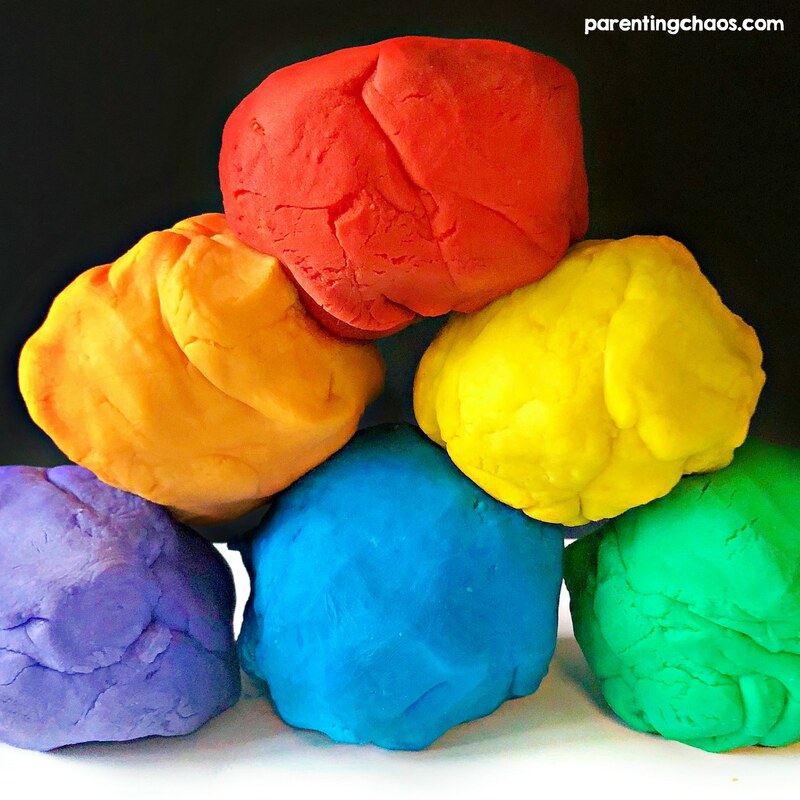 This playdough will dry out quickly if it is not being played with. Make sure to keep it in a covered container when it is not in use. This playdough does not use cream of tartar or salt to help preserve it. When we make this it will last us for months. As always, check the homemade playdough for mold before handing it over to a child. If this is something that you are worried about you can add lavender or tea tree oil to the cornstarch and baking soda playdough. 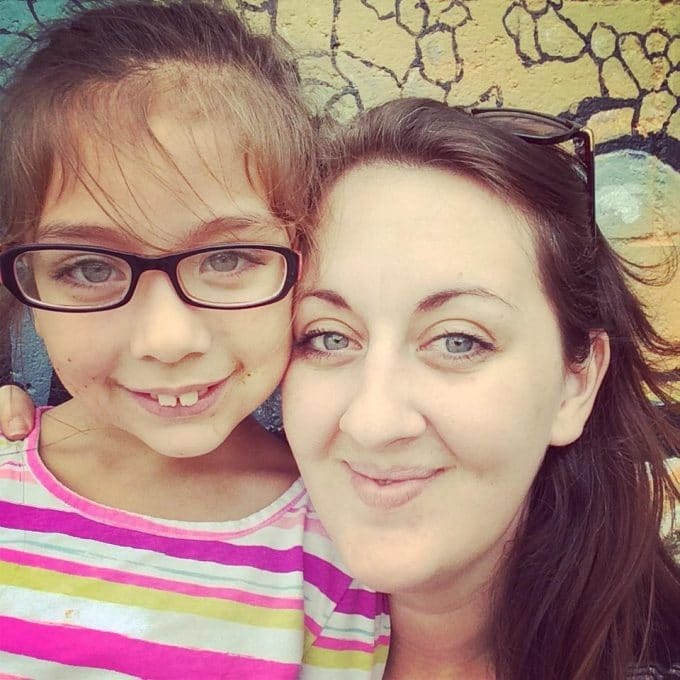 To learn how to use playdough to challenge your child check out our article on the developmental benefits of playdough. Not making this flourless playdough right this second? Then pin this post so you can easily find it later!